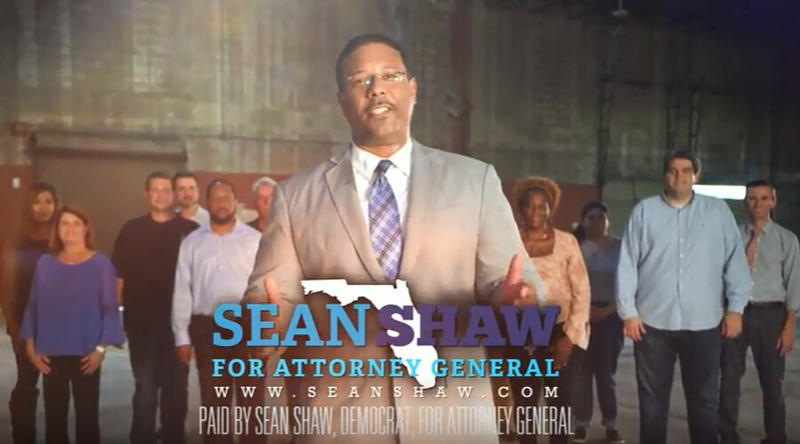 In the Democratic nominee for Florida Attorney General's first ad, Shaw asserts it's easier to get a gun than it is get health care. In his first television campaign ad, Democratic attorney general candidate Sean Shaw attacks his Republican opponent Ashley Moody over guns and health care, saying it's easier for people with chronic health conditions to get assault weapons than health care. The ad refers indirectly to a lawsuit by Florida and other states seeking to have the Affordable Care Act, or Obamacare, declared unconstitutional. It echoes one of the Democratic Party's main talking points in this election year, that ending the ACA would include ending federal protections for people with pre-existing conditions. The law prevents insurance companies from denying such people coverage. Current state Attorney General Pam Bondi, who's term-limited, joined Florida to a lawsuit by Texas and other Republican-led states against the Affordable Care Act. Moody, who has praised Bondi's performance in office, has said she would continue Florida's participation in the lawsuit, while Shaw has promised to end it. Shaw has also advocated stronger gun control laws, which Moody opposes, including a ban on assault weapons. The ad shows a series of ordinary people, including an elderly woman, who it says have chronic health conditions including diabetes, cancer and post-traumatic stress disorder, all holding assault weapons, while Shaw speaks in the background and then into the camera. It's easier for them to get the guns than health care, he says. "Processing the application to enroll in the Affordable Care Act can take almost three weeks," his campaign said in a news release. "This is significantly longer than the three-day waiting period" for buying a gun. Shaw: "Right now it's easier for these people to get one of these (an assault rifle) than to get health insurance if they have a pre-existing condition — because of politicians like Ashley Moody and the lobbyists that bankroll her campaign. "I'm Sean Shaw and I'm running for attorney general because I believe it's time we disarm the insurance and gun lobbyists and arm the people with an attorney general who's ready to fight for us all." The campaign says it has spent $1.25 million so far for air time for the ad including cable, digital and broadcast buys in Tampa, Orlando, Jacksonville, Tallahassee and West Palm Beach.